Take a close look at the type of damage caused by the fire, including any soot or smoke damage in order to figure out what the best method of cleaning may be. Board up any of the broken doors or windows in order to minimize the likelihood of burglary, vandalism, or other damages from the elements. Remove the soot from furniture, carpets, walls, and any other items that may be damaged inside your home. Permanently remove the scent of smoke. 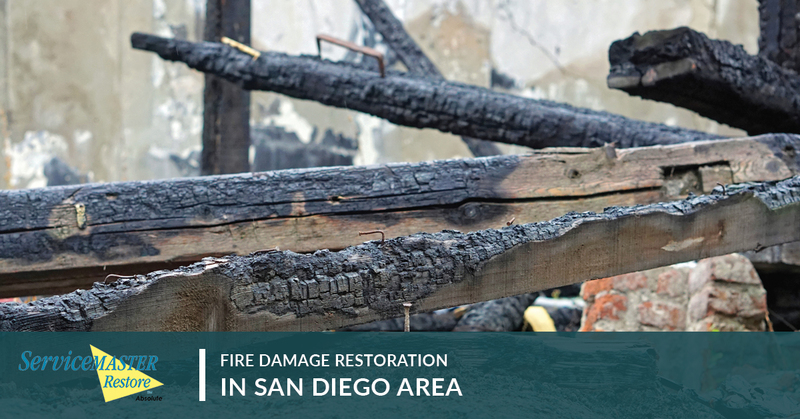 Offer fire damage repairs that might be needed in order to efficiently complete the restoration process. We also always take care to document every item in your inventory, as well as transport them to a safe place while we work on your home. SM Absolute does our very best to salvage as much as we can. Our team will also work closely with both you and your insurance company, meaning that the process should go smoothly and quickly to help you get back to the way things were before the fire. Customer Satisfaction – We always aim to help our customers as they navigate through the aftermath of a fire. When they call us, we make sure the job gets done and it gets done correctly. If we should fall short, we always do what we can to make it right. The Right Thing – Our team is genuinely concerned for our clients, and this is why we do an honest day’s work every time we get a call for help. We never cut corners, even if they puts us at a competitive disadvantage. You will get exactly what we tell you to expect. Caring – We care about our team and we care about you. We want everyone to succeed and see happiness at the end of the day. This starts with our commitment to you and your family as we restore your home to the way it was before. When it comes to repairing your home, there is no better team to rely on than the professionals at SM Absolute. Please give us a call today and tell us how we may be able to help you. Whether you need assistance with fire damage restoration or flood damage, we are the team you can rely on. We proudly serve San Diego County, and Riverside County. Call today to work with the most dedicated in the business.